Topic: How do I delete a record from a drop down? How do I delete a record from a drop down? 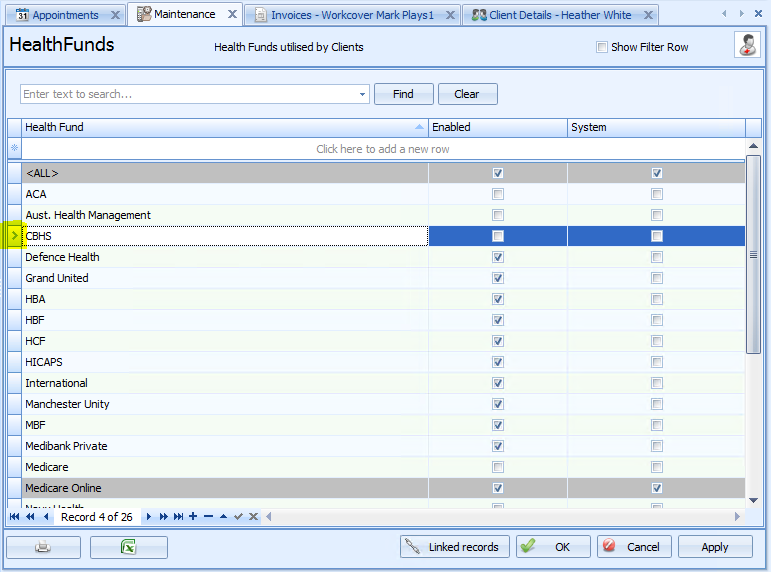 The options in a drop down list are added in Data Maintenance. Sometimes these can also be deleted. Whether they can be deleted or not, depends on whether there are any records linked to that item. If there are none, then the item can be deleted. On some tables the options can be set to inactive or disabled. The record can not be deleted until this record is unlinked. 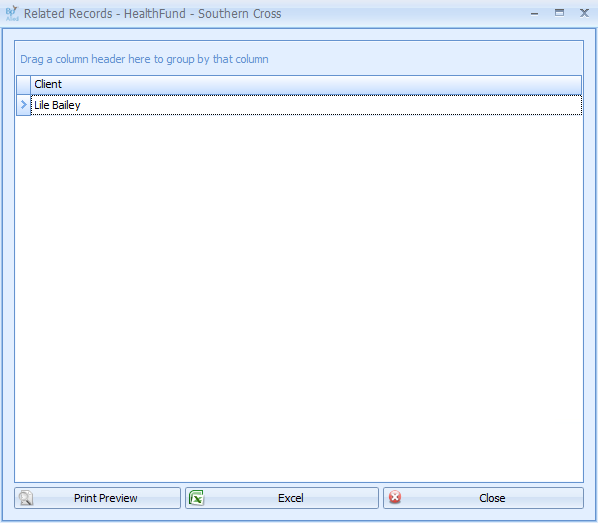 In the example shown, for the client Lile Bailey, the Health Fund field would need to be changed from Southern Cross to enable this option to be deleted from the Health Fund table. Once the link is removed then the value can be deleted by following the first three steps above.